All pitches & statics are literally feet from the lakeside! 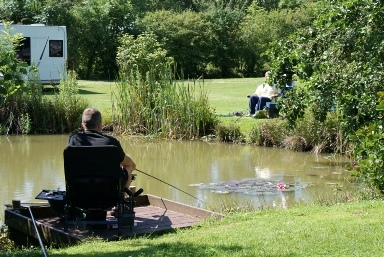 Whether you are camping, bringing your own caravan or are looking for a static caravan in a beautiful location, when you come to Wood Farm you'll discover a hideaway site with a stunning fishing lake nestling at the foot of the Lincolnshire Wolds. If you're looking for a real get away from it all break .... this is the place for you. 'Despite its popularity Wood Farm remains quiet and unspoiled, but it is in just the right place for touring the famous 'Lord Tennyson country' which surrounds it. Lincolnshire is also renowned for it's sunsets, unfenced countryside and close to the site you'll find many market towns and villages as well as the southern part of the Lincolnshire Wolds which has been designated as an area of outstanding natural beauty. 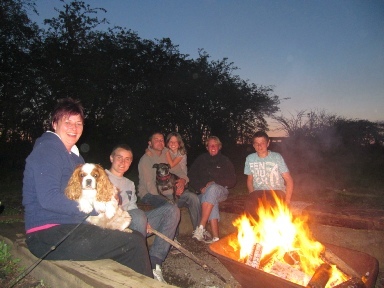 'Wood Farm is a small, friendly family run site set within 3 acres. We are situated in an area of minimal light pollution and fire pits are available giving the site a magical and intimate feel, the stars here can light up the whole sky. All pitches and statics are situated literally feet from the side of the lake. We will always offer you a warm welcome and love sharing our beautiful ‘home’ with everyone who stays. Our motto is “may you come as guests but leave as friends”. Click on this box to find out about our latest amazing and unique feature!